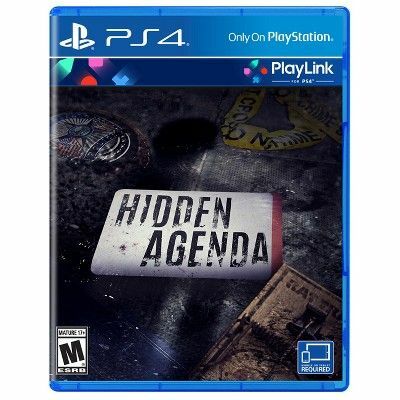 In my anticipation of Supermassive Games’ Man of Medan, I actually bought Hidden Agenda for the PS4. Walker Dennis really wanted the latest Ghostbusters game, and after seeing it for $15, I bought it as well. I had planned on buying Hidden Agenda but I figured it’ll be one of those things I plan on buying but don’t really follow through. But I did it and I’m super happy I did. I’ve read people saying it isn’t worth $20 as it is only two hours of content but for $15 and it being three hours of content, I think it is pretty worth it. Thanks to PlayStation Europe for hosting the reveal trailer. The game uses the PS4 PlayLink, so you have to download the free app and you use the PS4 controller to select menu settings but once you are ready to start either Story mode or Competitive mode, you start using your handheld device. I used my Android and my Kindle, which was pretty nice. I had put the app and the app for Knowledge is Power on my wife’s phone but I’ll probably delete this app from her phone as she doesn’t have to play with me anymore. I was able to use my phone and the Kindle at the same time and I didn’t really notice it being all that difficult. I really wanted the trophies that are required with a Competitive play so on my second night with the game, I did all of that. My very first gameplay, I went with Story mode, to experience the full aspect of the game. I only committed an hour to it and when I came back the second night, I found out I was so close to finishing the first chapter. I’ll say the second chapter is the shortest as I’ve spent two different nights finishing the final two chapters and the first chapter seems to take up my limited hour of gaming (sometimes I can get an hour and a half a night). There have only been two real gripes I’ve had with the game. One is when you are looking for clues, it takes a long time for the cursor to register on the screen, so you lose like five seconds of the twenty you are given. Which is great when you have two player mode (in either Competitive or Story (two player Story is required for one specific trust trophy) mode) as either you get more time to find them all or moving two different devices at the same time, gives you more opportunity to go around the room. The only clue I ever missed was due to whatever delay that is caused between clues. I couldn’t find the magnifying glass (that represents where the clue is), it is on the police uniform. The other two are the pictures of Becky in the middle and the rat trap below the pictures, next to the pink box. My second gripe is a real bummer for a huge Until Dawn fan. We get the option again to look at Global Statistics, so if you want a run where you pick all of the least proper choices, you can do that. But if you have to turn off the game and come back to it later, the option is still selected as “On” but you no longer get the stats. Every time I came back to the game on the next day, I’ll get an error message. I’ll try to experiment if I quit the game proper, if I can still get the stats to continue but it was a real shame losing those as I continued. So I had to just choose the opposite choice or the choice that would lead to a trophy as I was aware of which ones I’ll need after my first playthrough. The motion captures and voice talent (I’m not sure if they are one and the same) are amazing. 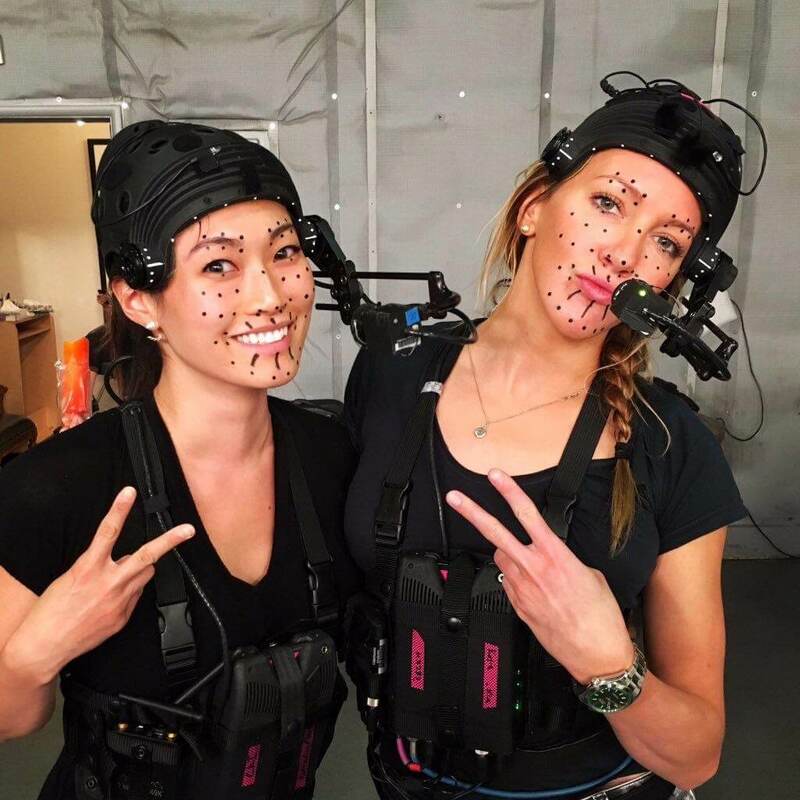 Like a very limited Until Dawn, they hired Katie Cassidy (from Arrow fame) to be Detective Becky Marney. Christy Choi plays Felicity Graves, the other main character, who is the District Attorney to the Trapper’s case. The two of them have great chemistry together, and there were times I thought about shipping them together but thought that was silly. 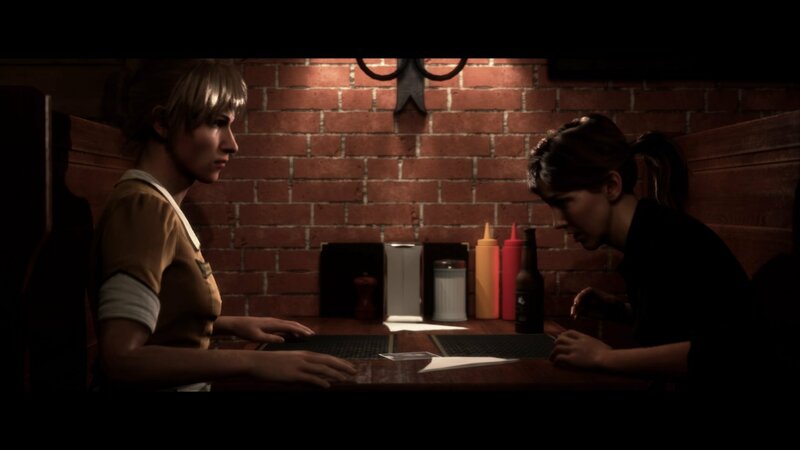 My first playthrough, I had them look at case files at night together. They seemed to be very friendly, but none of my other playthroughs required them to look at the case together, which was a shame. So at least I’m not alone with the thought. But be mindful if Becky should have that beer or not. She just shows up, sits there and watches as Becky passes out. We get a glimpse of her, well I guess two glimpses of her prior and never again (as far as I can tell), so she shows up, gets the job done, and we never see her again. I was like, who is this?! And then with what happens after that, oh boy! The entire cast is very well done. Leonard Roberts is Tom, Becky’s police partner. I know him as DL from Heroes, who had the phasing power and dated Ali Larter’s character. He is King Idri of Loria on Magicians, a show I really want to start watching. He’s also been on Mom and The Client List. Tom was my favorite of her partners, if you make a different decision in the very beginning of the game, you get Karl Carter as her partner, but he always feels an alternate choice to me. West Liang does a great job but I always got Tom as my main partner. If Karl is your partner, that means Tom is your sergeant which is another shame as Sergeant Riggs is such a great police sergeant. Riggs is played by Chris McKenna. Apparently McKenna and Roberts were on Major Crimes together, during the Conspiracy Theory arc, so I should try to watch that to see if they have any scenes together. 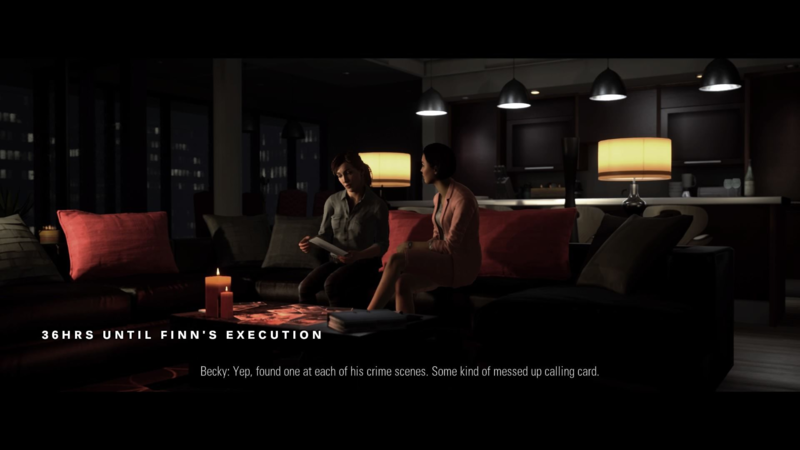 In one playthrough, my final one actually, Becky had to do something horrible to Riggs that made me happy that it wasn’t also Tom in the role. But still bad. I got the platinum for the game within five days of playing it, and four playthroughs. This makes my eleventh platinum, as my tenth is Fallout Shelter (which is why I’m able to finally play other games). I did one on my own, I attempted an unpopular decisions play (but being aware of other trophies), a third one, the Rat in the Trap, and Antitrust. 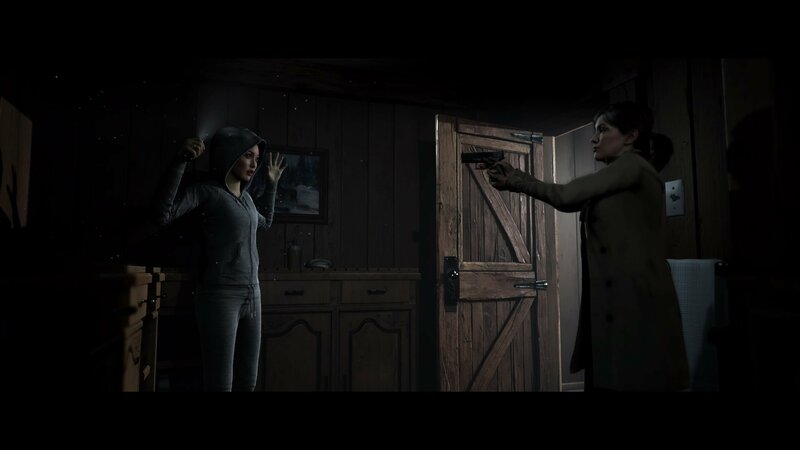 Another fun hold over from Until Dawn was that the writers of Until Dawn wrote this game and Larry Fessenden came back to portray Vernon Lemay, a brother to one of the Trapper’s victims. Feessenden co-wrote the game and was the Stranger in Until Dawn. Graham Reznick is the other co-writer, I’m not sure why he doesn’t lend his voice to a character. There are three other actors that make up the main cast. Yan Feldman plays Jonathan Finn, who Becky arrests as The Trapper. He’s been in various things but nothing I recognized him in. Chad Michael Collins is Jack Calvary, who was the detective on the Trapper case that Becky closed for him. They do not get along. He’s a jerk with a heart of jerk so it is easy to take Becky’s side in every exchange. But there is also, not a charm, but charisma about him too. He’s confident. He’s been in things too that I may have recognized him if I rewatched them. Finally, there is a Gabriel Miller as Simon Hillary, the police medical examiner. He’s credited as Gabriel Schwalenstocker but imdb lists him as Miller. I didn’t recognize any of his credits. Something I did recognize in the game, and once I recognized it, I couldn’t stop seeing it. As that the game will flick or have a delayed pause, like I could tell when the game was choosing either Response A or Response B, which was smoother for Until Dawn. Also, a character would be talking at one angle, and then Response B would be chosen, be shown at a different angle, and then go back to the original angle to go back to the main plot. I wouldn’t say it was distracting but something that I did notice. Maybe if I did one playthrough a week and didn’t spend so much time with the game, I wouldn’t have noticed it as much but it is hard to unsee once you have seen it. Overall, such a fun experience, even the gripes I have, are minor and I would clearly recommend the game to anyone interested in it. I love Until Dawn, I really enjoyed this, and I’m eagerly anticipating Man of Medan. As I foretold, once I got the platinum in Fallout Shelter, I haven’t gone back. I have thought about it but like Fallout 4, just spending ten minutes in the game, makes me want to spend an hour in the game. So I’m distracting myself with other games. I did start a new character in Fallout 4 to play on Survival mode to get myself prepared for Fallout 76 but I modeled him after our son and he just wanted to play instead so that took up my 30 minutes. I wished I could have made the character shorter and more younger looking but Walker Dennis thought it looked enough like him to get into it. He’s gotten much better at controlling the character. Of course, he immediately went looking for Dogmeat, and that was pretty cute. I’m filling his memory banks with unimportant things like the map of Fallout 4 but he pretty much went from the vault to Sanctuary (spending no time there) and going to Red Rocket to get Dogmeat. Ideally, I’ll play him as a Railroad member but I’ll also not play at all. It is easy to be a prophet of your own actions. Someone on the Trophies subreddit got the RiME platinum and I realized I should pick that game up and figure out where I left off. I was in Chapter 2 and I had unleashed the second windmill and realized I didn’t do the first windmill. Which, again, was a complicated puzzle that I had made harder than it had to be. I saw several YouTube videos that had completed everything within 30 to 45 minutes and I must have made that level a two hour affair. Someone was nice enough to inform me that the next three chapters are super easy compared to two and they were definitely right about that. So we beat the game, Walker Dennis and I hugged for maybe four minutes after beating the game, it was a long and good hug (it may have been more like a minute of silence) but even he recognized that it was a sad but hopeful moment. I had it originally spoiled for me, conceptually, but actually playing the game and seeing the actual content, hit me on a different level I wasn’t quite ready for. We’ve gone back and did all of the trophies for Chapter 1 and gotten all of the collectibles. I also started a YouTube playthrough for Chapter 4 and just did it along with the video, it still took me an additional 10 minutes but that was more on me than the video. Thanks Sylvain LUCE for hosting such a good video! We couldn’t have done it without you. So ideally, we just need Chapters 2 and 3 and we’ll have our 12th platinum. I promised to not play without Walker Dennis there, who is really good at the game. So we’ll probably play on the weekend but still follow a guide. We’ll get the platinum during Chapter 3, at some point, as typically, people get it during their second playthrough when they unlock a costume in Chapter 4 and have to go back to Chapter 2 and we’ll be doing that next. 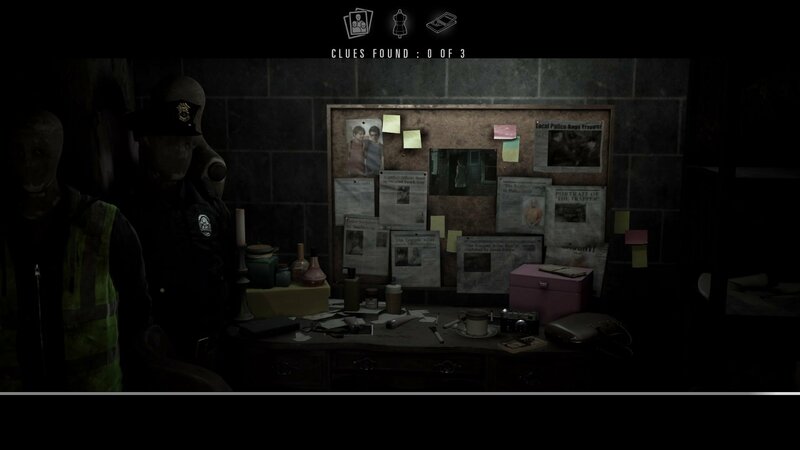 We got all of the collectibles from Chapter 4 but we definitely need two trophies and once we find all of the white shades (I believe we only need three’s now), we need to replay Chapter 5 as well. So all of my assumptions were wrong. But like they say, when you make an assumption, you are right the bulk of the time. As I got the platinum at around 11pm for Hidden Agenda, I didn’t want to make all of the noise of ejecting the disc, opening Arkham Knight’s case, and inserting that game into the system (it is louder than you think it would be). So I started Heavy Rain again, did the section with the FBI guy (I have to learn their names eventually) and that section ends with the father informing the police. I clearly didn’t remember what his shirt was, after a few months of not playing, but I got the rest of the questions right, there were no ellipses during the other responses like the shirt response got. Last night, I did get to play Arkham Knight for a while, and I’ll probably be sticking with that game for some time. I got a little further in The Perfect Crime and the firefighter storyline. I ended the session with attempting a Militia Watchtower but a drone was stopping me from making any real progress. I read I have to hack the drone but I haven’t gotten the hacking device just yet. I also made a little progress in the main storyline as Barbara Gordon caused Arkham Knight’s car to crash and that was a very fun sequence to play. I felt like a real detective, an overly financed one, but a detective nonetheless. I still need to unlock that third island, so I can get the Batmobile over there, as there are so many threats still. I can access it but the bridges are still up. It felt great coming across the body in Bristol all on my own, I knew the district it was in but I had to figure it out on my own. That’s the case I’m trying to focus on at the moment, as it was the first case presented to me. So my main goal right now is to get the hacker device so I can get that one particular watchtower completed. Looking at this website, not the one I found last night, apparently I should just go to the Watchtower by Ryker Heights on Founders’ Island as that’ll give me access to Stagg’s Airship, which is the mission that gives me the hacker device. Okay, I’ve typed “hacker” so many times that it triggered something I’ve been wanting to look up on YouTube for too long. Walker Dennis is obsessed with Chad Wild Clay’s Hacker storyline, he’s on the prowl for the Hacker and the Game Master and I’m either overhearing the YouTube videos or just hearing the word “hacker,” like all of the time. Thanks to Chad Wild Clay for hosting his own video. It is this massive (and maybe never ending?!) crossover with other YouTubers like Steven Sharer and his siblings (who I haven’t heard about in a while). I’ve been meaning to look up if there is a conclusion but I’ll have to watch this video to see what is happening. I’ve heard one video at least six times, where they are looking for clues in their basement. I can’t seem to find the basement video but in my searches, there is at least six or seven different YouTubers who are continuing this massive crossover. I was looking for a video with a blonde lady with glasses but not having much luck. Well, I’m clearly down this rabbit hole. Rebecca Zamolo is her name. Thanks to Rebecca Zamolo for hosting her video. It is the Gamemaster who has a secret tunnel in her house. Though I get the feeling it is a second video where she’s telling another peep about the tunnel and she’s going back in the second time. Thanks to Matt and Rebecca for hosting their video. Whoever Matt is, he doesn’t appear to have his own video series. Every time Walker Dennis starts one of their videos, I think about Netflix’s Alexa and Katie as they share the same theme song (somehow). Thanks to Netflix Kids & Family for hosting the video. Turns out, they don’t but it sounds similar. Or it did until I listen to both of them. Wow, there’s research I did that only satisfied me. But seriously, I’m always hearing about the hacker and the game master but I get it now as one video sort of leads into a second video and from there, you’ve seen six videos in thirty minutes. You will come across 2 Gun Emplacements in the northeast edge of the area in addition to 3 armed soldiers including a Boa Sentry Operator. It is advised to deal with the Boa Sentry Operator before rest of the thugs to make things a tad easier. I remember it being near Port Adams but I was doing a search for drone but eventually found it on the page. I was throwing explosive gel at the drone and batarangs at it but I clearly need that hacker device. Which is officially called the Remote Hacking Device, which was called the Cryptographic Sequencer, but I imagine most people called it “the hacker device” and why try harder? Trying Watchtower 19, I was being painfully reminded that Founders’ Island is further along in the story than I should probably be at as there were tanks all over the place and the Batmobile couldn’t get there as the bridge is still up. I believe this will be my second Watchtower and I stopped the first one that introduced the threat. Amazingly, I still don’t know who the Arkham Knight is. Unfortunately, for this post, I had to get the Perfect Crime spoiled for me as I couldn’t remember the mission name and when I found it, the helpful website listed who the boss was but that is what happens when you are a patient gamer. The bridge will come down eventually as I make progress in the story, I don’t want to just do the story, I like to spice it up with side quests, keep it fresh. The only reason I went to that particular Watchtower was due to it being the closest mission after I did The Perfect Crime event and I wasn’t quite ready to call it a night. I’ll probably get in the habit of doing one main story point and then a side thing, with a focus on The Perfect Crime. The latest victim was from Tucson, Arizona, which was pretty cool as a guy from Arizona. Thanks to Agent E-NYGMA for hosting the video! I will avenge you, Lisa Mendes! Thanks to redditor, Iceblast24, for telling me that noclip made a Fallout Shelter documentary. So I had quit playing Fallout Shelter for the night, at 11:30pm, and figured at 26 minutes, I can stay up a little longer and enjoy a terrific documentary. Thanks to noclip for hosting their own videos. I knew the game was pretty old but I hadn’t really thought about it being as old as Fallout 4, which I came too late so the idea of the game coming out, I hadn’t given much thought too. Sounds like they had a blast creating it and it really is fun to play. I can’t believe how many people have played it, more than the combination of all of the games Bethesda has released. I mean, it makes sense as it is a free game to download and simple enough to understand. It isn’t like you have to be Oxhorn and be well into the lore of Fallout to understand it. I figured I’ll subscribe so I can be aware of other excellent documentaries that they create. I wished I had paid more attention (and had the money) as I would have loved to have supported the Fallout Shelter video. I’m just really enjoying the game. They have 78 videos up, as of now, and unfortunately, none of them are appealing to me at the moment as I play Grand Theft Auto V but not online, I haven’t played any of the Witcher games, Horizon Zero Dawn (I would like too), Final Fantasy XIV, Doom, Frog Fractions, Rocket League (another game I want to play though). I really should get back into watching documentaries again as I do miss watching those. For yet another personal Fallout Shelter progress, I finally got the 50 raiders “Get Off My Lawn” trophy! That was a huge relief! I am creating crafting my final theme, Institute Diner, so my vault will officially be part of the Institute, not great but that’s just how we landed. I ended up only having to pay for one theme to unlock it, the rest came naturally. I choose to pay the nine Quantums to get the highest missing amount. I have no recreates. But since I didn’t need to store Quantums, I started spending them like crazy. I went from 60 to 30 so quick that I had to stop myself. I wanted to ensure I had ten ranked Intelligence in my weapon crafting room, so I sped up the training on a few people to get them from 9 to 10. Then I did the same for a few to get them ranked from 9 to 10 in Strength for my outfit training room. Once my final theme is done, I’ll destroy that room (as I don’t need it anymore) and replace it with a storage room, most likely. I have 14 legendary outfits and 12 legendary weapons, and I need 20 of each for two trophies. So maybe in another week or two, I will have those two completed. Once I don’t need six dwellers in my theme room, I am going to start training all of them in Strength, Intelligence, and Agility, probably in that order too. Or I’ll swap out the 8s and 9s with whatever 10s are in the theme room currently. That’ll definitely happen as I tried to make sure all three crafting rooms were balance. I’m not even really caring about what I craft, just as long as I can craft them quickly. I have three fire hydrant bats but I have to craft a legendary baseball bat (hopefully that is an option) so that I can send someone on a level 15 quest. I had thought I had kept one baseball bat but I must have sold it or scrapped it for parts. I also need 100 quests too. I know I have 60 completed as that was another trophy and I must have gone on ten quests since then, so another 30? I have committed to two teams of three for my questers. My main team that is going up the quests, which I am currently on the level 26 quests, the final one of those too, with plenty of level 27s in my future. Then I have my level 50 questers who do the dailies, unless it is Deathclaw related, then I have them taking on the quests that I know will reward a legendary outfit or weapon. Last night, I had them do a daily and a quest that resulted in legendary junk, as I’ll need more legendary junk to craft legendary weapons and outfits. I have one Heavy Merc Gear and once I finish whatever outfit I’m currently crafting, I’ll get them started on my second of three Heavy Merc Gear. I need five Yao guai hides and four teddy bears, which I have plenty of teddy bears but barely (pun intended!) eight Yao guai hides so I can make one safely and hope one of my ten lady explorers can find me two more in the meantime. My basic questers are finally being trained in Charisma, so even they are finding legendary junk on their quests. Or! They are being rewarded with legendary junk and I’m forgetting those were the rewards for doing the quest but I don’t think so as they are finding a lot more legendary junk than before I started training them exclusively in Charisma. But it could also be that quests with a bare minimum of level 25 dwellers started providing legendary junk too. I just now pieced together that Heavy Merc Gear is 100% bear related as Yao guai is Fallout’s version of mutated bears and plush teddy bears are combined to make the outfit. That’s cute and fun. They are not cute nor fun, if you see them in the Commonwealth or the Wasteland, do not approach them unless you want a fight! Or their hide. I imagine they will be in the Appalachia as well, which is the name of the map used in Fallout 76. I keep going back and forth on if I want Fallout 76 for Christmas or at all. I keep going back to now there are no animal companions and how much I love Dogmeat in 3 and 4. A dog companion is as much to me in Fallout as war never changing in Fallout. During Oxhorn’s video of his time at Greenbrier (as he was one of the lucky ones invited to play the game), he was able to ask about taming animals or simply animal companions. Thanks to Oxhorn for hosting his own videos on YouTube. The Bethesda developer said they don’t have any plans of animal companions at launch, which sounds like they might be able to be patched in later. Which is a shame but the more I think about it, the more I don’t want to play without a dog companion. I recognize that is silly but I’m not really in the market to buy a $60 game anyways. For Christmas, I have a pretty bare bones wishlist of $60 renewal to the PSN, $15 renewal of my GameStop card (I’ve really enjoyed getting my issue of GameInformer every month), and maybe one new game. Either that will be Spider-Man or Marvel Lego Superheroes 2 Deluxe Edition (I just really want to play as Scarlet Spider in at least one game!). I already only play games between 1030pm and midnight so I’ll be playing with other night owls or early morning risers, and for such a limited time, that I’m not going to be able to go on 45 minute quests. I do like how there are plenty of quests, which I’ll need as I so love quests in Fallout, and that’ll be my main objective in the game. I kept meaning to start a survival playthrough in Fallout 4 to get used to the idea of having to eat and drink as that is another function of Fallout 76, that I’m not completely thrilled with. So I’m not going to really play with others, no animal companions (imagine how keen it would be to tame a Deathclaw?! ), having to maintain surviving with food and drink, are three pretty big negatives. The giant map, and more side quests that Fallout 4 with potentially even more quests being added all of the time (or at least during the first year) with daily, weekly, and monthly quests being a thing, and a main quest line that is nearly as long as Fallout 4’s, are huge pluses, also it just being a proper Fallout game, makes me add it to my wishlist but it is a clear 2nd or 3rd game for me, at this time. I really want that Spider-Man game. People are platinuming it all of the time! New content comes on October 23 and New Game Plus will happen at that time or soon afterwards, which I love NG+ since Chrono Trigger perfected it. Once I get the platinum on Fallout Shelter, I’ll stop playing it and pick up Batman Arkham Knight, as I clearly can’t do two games at once. 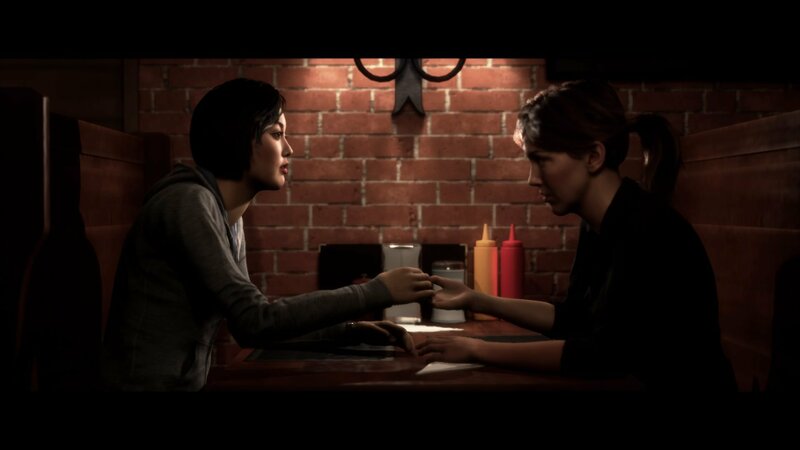 In my pre-hype for Supermassive Games’ Man of Medan, I did end up buying Hidden Agenda, it is huge file on my phone now but I really want to do it in one sitting which I’ve read is like a two hour game, give or take, so it’ll probably be like four hours, but I want to dedicate at least a proper hour to it. My wife was kind enough to let me download that game on her phone and I took the time to download Knowledge is Power on her phone too. I think combined it was one GB as her phone went from 18GB to 19GB, whereas, I’m having to fight to keep my phone under 25/30 GBs as I continue to be way behind on my podcasts. Walker Dennis was with me and he insisted on getting Ghostbusters, and I foolishly walked over to see if they even had a Ghostbusters game on PS4. Which they of course did and I ended up spending five more dollars and getting two less games than I originally had planned on buying. A few months back, GameStop had a “Buy Four Games for $20” deal that I saw they moved to include Wii games but no longer PS4 games. So both games cost me $25 as I got the Elite Pro membership, a slight humble brag. The employee told me the Elite Pro didn’t do what they were hoping so they are canceling it after this year. My renewal is up prior to Christmas (I bought it when I was told we were getting a PS4, on the DL). That’s when I knew I had to add my renewal to my wishlist. So $75 for a bare minimum for a Christmas list isn’t too bad. I’m a guy who wants really little and I’m all about spoiling my wife and son (plus his birthday is two weeks prior to Christmas (it was supposed to be three weeks prior but whatevs)) so I’m all for not spending money on myself and treating my family. That’s the maturity that comes about with age, in my 20s, I would have been a big pain about all of the things I do and other nonsense but I’m not that guy anymore, if I ever really was. Plus, and please don’t tell him this, but he’s getting a slew of Lego Dimensions sets and I know he’s getting at least the Doctor Who level pack (I keep pushing for the Cyberman/Dalek fun pack and the Mission Impossible level set) so I’m benefiting from his presents too. He’s going to have a great Birthday/Christmas, we’re still deciding how to divide presents. He’s also getting the Ghostbusters level pack so that should be fun and he really wants that one too. That’s the biggest want for him, he also wants Slimer and Stay Puft Man but those things are like $20 or $25 each and we can get proper level packs for that much and get a level, a character, and a vehicle so the content isn’t there to justify it but he’ll probably get one more of those, probably Slimer as he wants him more but he really wants all three. It really is a balancing act. Plus, all of the other side stuff too, like my beautiful wife is usually nice enough to get me two really great work shirts that I appreciate. I probably make a face of “clothes?” as it is hard to shake off those childhood memories of getting clothes but they really are nice shirts and I need work shirts. The annoying thing but not that annoying, is that Walker Dennis doesn’t even want to play the Ghostbuster game as much. I can get him to play Foul Play on the PS4 but he still wants to focus on Lego Dimensions. Which also cuts into my desire for Lego Marvel Superheroes 2 as he probably doesn’t need to bounce between two Lego games, which is why Spider-Man ranks higher than my other two games but then Fallout 76 edges LMSH2 on some days. I’m definitely giving this more thought that I should. I really do want my PSN to be renewed as that thing pays for itself after three months with the free PS4 games and they throw in the crossplay Vita games so those are a nice bonus (and what I’ve been looking forward to as some of those are really fun). I wished Fallout Shelter was on the Vita, then I could play Fallout Shelter on the Vita at lunch and on the PS4 at night. Knowing my luck though, it’ll be two different files and that isn’t what I want. I still dread the day I click Uncharted 1 or 2 on the trilogy remaster when I play 3 and start a new file for 1 or 2. I have 2 platinumed and 1 closed but I’ll never get it, but knowing I have the new file will make me want to replay those games. I got God of War 3 as a free game but my PS3 version of that game sits at 55% so I’ve been tempted to not attempt the remaster as I doubt it’ll get more completed or I fear it’ll be less completed. These are the rules and thoughts that clutter my noggin. Just the way I’m wired I guess, I blame this on my comic book roots. I really need to get back into Uncharted 3 as well. That was a fun game but I got distracted and sidelined with my desire for Fallout 4 and now Fallout Shelter. 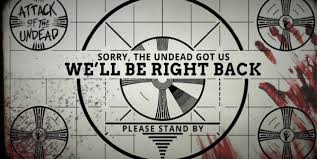 Which is another thing that makes me want to play Fallout 76, as what type of fan would I be if I don’t play every new Fallout game? That’s bonkers that I finally buy a new Fallout game, not day one but you know, month three and I’m not willing the desire into action. I’ve also been looking on craigslist to see if I can buy a cheap PS3 and a copy of New Vegas Ultimate Edition, but I’ve seen the prices being either $60 or $80 or crazy $120 (but with a slew of games) but all of that is too rich for my blood but that’s probably what it will cost me. I’ve read online that I should just pay for PlayStation Now and rent it through that service. Which is probably the way I do it if we don’t get a remaster eventually. But there are no rumors of that ever becoming a thing. I just have this vision of traveling with a dog in Fallout 76 and let’s say I get it in December and play it throughout January. They add dogs in March, I guess I could create a second character and make that my main file but am I going to want to do all of that over again but this time with my good boy? I enjoyed my second character in Fallout 4 but the pressure of doing the main quest wasn’t there, not like I made her for the main quest, I just wanted to be a member of the Brotherhood. There’s just this disconnect I’ll feel during the second time and I might as well wait. The nice thing for me is that I don’t buy anything for myself pretty much from November to February as those are prime gift receiving (and giving) months with our wedding anniversary in late November (29), Christmas, my birthday in January (31), and Valetine’s Day. Then we get our tax refund in March/April and I usually get the one present I haven’t received yet – it just times out right – for either Easter or just cause but mostly for Easter. Which I had forgotten about when I started this paragraph. So November to March/April as Easter bounces around. Not like I spend the other six months buying myself presents but I’m more apt to if I have the money, desire, and an item to spend money on. I also have Knack to play too as I want to type I was just starting Chapter 5-3 when I got obsessed with Fallout Shelter or whatever game I was playing prior to that one. I have a backlog of years so I can wait until games are $30. I’m also excited to look for Black Friday / Cyber Monday deals too as I usually never have anything in mind for myself. I’m telling ya, the whole “will I, won’t I” of getting Fallout 76 has been weighing on me but it was nice to write all of this down and out of my head. Watching the Greenbrier footage of several YouTubers, it does look like an awesome game, and I’ll get it eventually. I, of course, won’t turn it down if someone wanted to buy me a copy of it but I have other games to occupy my headspace. Foul Play has this fun atmosphere and I like how it just feels like a classic side scroller. I also was really getting into Heavy Rain, so I’m definitely forming some sort of list in my mind of what games to get back into and what order to play them again. Just looking at my trophy list, below are the games I’ve given some time too. Ghostbusters – I’m pretty much committed to just playing this when Walker Dennis wants too. Sparkle 2 – This was pretty fun, it is a game where you match three colors but instead of a grid like Candy Crush, it is more of a string of multiple colors that you have to match up. There is a trophy for playing the game for four hours that sounds like it’ll take a long time to achieve, like four hours. Foul Play – Another game I’m completely fine with waiting for my son to want to play. 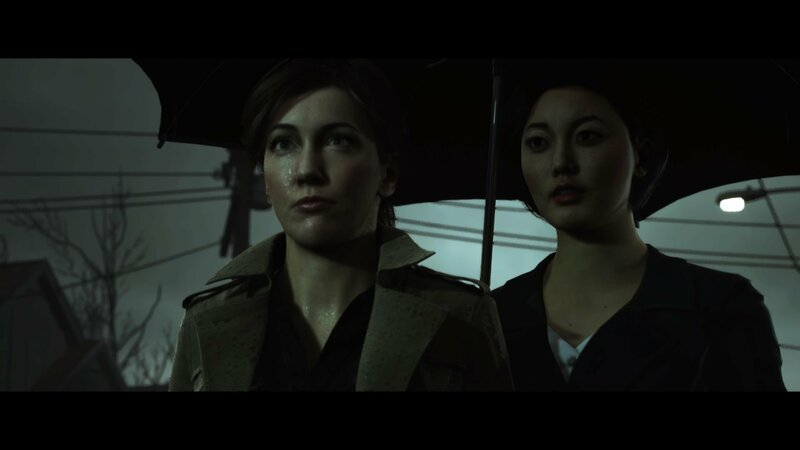 Heavy Rain – I was really getting into the story and the characters, I hadn’t met the lady character yet so I’m only at the beginning. Grand Theft Auto V – Michael’s family had just left him but I don’t feel super compelled to get back into this one so it’ll be towards the bottom of the list. Knack – I should look into where I’m at in this game and how close am I to finishing it, it feels like I’m still at the beginning though. RiME – I’m stuck at this place where I come up out of the water, in the desert world, with a walkway that is floating on the water with some lights in the first area and the walkway leads to a deadend but I have to figure out the lights but I will swear that I tried all of the combinations but clearly I haven’t. I’ve been putting off looking up walkthroughs I imagine once I do, I’ll be watching videos for the rest of the game. Uncharted 3 – I like the idea of this game not being an open world game with a more structured plot. Darksiders II – my first free game through the PSN+ and I wouldn’t mind finishing it. I also subscribed to the PS4 Trophies subreddit so I’m starting to see all of these nice folks who are getting the platinums on the free games which makes me want to get further in them too. Proofing I am a glutton for punishment, I re-subscribed to the Fallout 76 subreddit. I was thinking that I would like to know when animals get patched in and the best way to do that would be to subscribe. It would probably hit the Fallout proper subreddit or on PS4 subreddit but I might as well be connected to the source as well. Like most people yesterday, I was pretty clued to reddit and Twitter. My phone told me that Bethesda was going to make an announcement soon. So I followed that, on my phone, at the top of every hour. reddit was the true hero yesterday. With it all leading up to this teaser trailer! Thanks to Bethesda Softworks for hosting their own video. It is a short trailer a minute and 34 seconds but it is glorious! Lots of speculation going on, naturally, but answers will be given on Sunday, June 10, at 6:30pm, and you best believe I’ll be following that news that evening. What we can tell is that it takes place in West Virginia, which could be super close to Fallout 3’s DC location. Vault 76 was a controlled vault, so not one of the experimental ones. Which is nice for them! It was supposed to open 20 years after the great war so this could take place before Fallout 3, even! The year would be 2102 and had 500 occupants. It is referenced in both Fallout 3 and 4. I’m so pumped as this could be my first Fallout game that I actually buy day one! I’ve been super late to Fallout 3 and Fallout 4 and completely missed out on Fallout New Vegas, which I was hoping they were going to announce a remaster of that one just so I can finally play it. How do you let someone down easily? which was pretty fun and I’m sure they were getting questions galore. 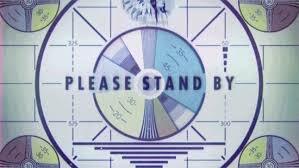 The Call of Duty peeps apparently put up their own Please Stand By feed that is also pretty fun. Apparently Bethesda did this way back when Fallout 4 came out, pretty much exactly the same way. Two weeks before E3 and with a 24 hour tease before a teaser trailer. So that’s all pretty good and fun for me. 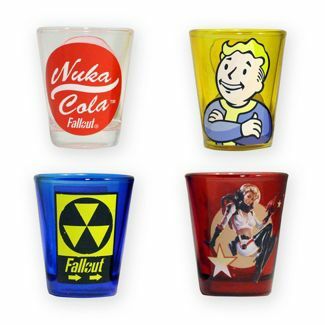 Apparently the wallet isn’t on their website anymore but I wouldn’t mind the shot glasses now. It felt silly before but I’m all about Fallout again! When we got our new Galaxy S7 phones back in February, my wife had me look for a phone case for mine and I thought about getting a Fallout related one but didn’t find one plus I thought it would be silly to have a constant thing related to the game, with me at all times, but now I sort of regret not buying one. The two I’m able to find now are not available and I’m just going to tell myself that was the case then too. Maybe I’ll get a new one once the game comes out. I’m currently playing Until Dawn and working on a post for that game but I wanted to get my thoughts about Fallout 76 while it was fresh and current.